What is a Healing Abutment? A healing abutment is commonly used in dental implant treatment. The implant itself is placed into the jaw bone however it depends on several factors of how the implant is then left to heal during the osseo integration phase. Usually dental implant treatment can be carried out in one of two ways. By a 1 stage procedure or a 2 stage procedure. In a 1 stage procedure, the implants are placed into the jaw bone and provided the stability of the implant is adequate then a healing abutment can be attached immediately to the implant. The healing abutment effectively increases the length of the a implant so that it protrudes through the gum tissue. This in turn causes the gum to heal around the treatment and not grow over the implant. The healing abutment is usually wider than the implant in order to sculpt the shape of the gum tissues for the future crown. In a 2 stage procedure the implant is placed into the jaw bone in the same sequence and manner than in a 1 stage procedure. However in some cases, either due to reduced stability during the implant placement or if certain types of bone augmentation are carried out the surgeon may decide to cover the implants completely. In this instance a simple cap is placed onto the implant. This is called a cover screw. The gum tissue is replaced back in the position as before the surgery and the gum effectively covers over the implant. 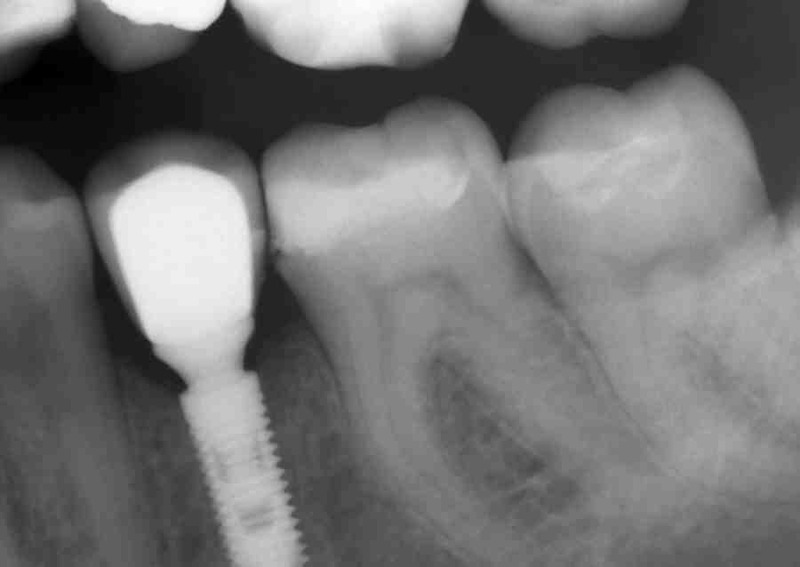 This means that the implant is not visible and cant be felt in the mouth. This method provides optimal healing conditions for the implant as it is safely buried under the gum tissue. After the healing process, a second stage of surgery will be required in order to find the implant and attach a healing abutment. The procedure is usually a simple one and requires only a little local anaesthetic. Once the position of the implant is located, a healing abutment can be attached to the implant. The gum tissues will then adapt around the new healing abutment and form a neat tissue collar around the healing abutment.